Pulled pork is the gift that keeps on giving. It’s relatively inexpensive, versatile, and most importantly, a little goes a long, long way. It’s the perfect “leftover,” which explains why I always have some on hand. While I’ve been known to throw pork on a salad or even in my morning eggs, my favorite destination from days of BBQ past is a plate of nachos. I try to eat healthily, but I have no problem downing an entire plate of spicy cheese drenched tortilla chips. I consider my nacho love a gift. 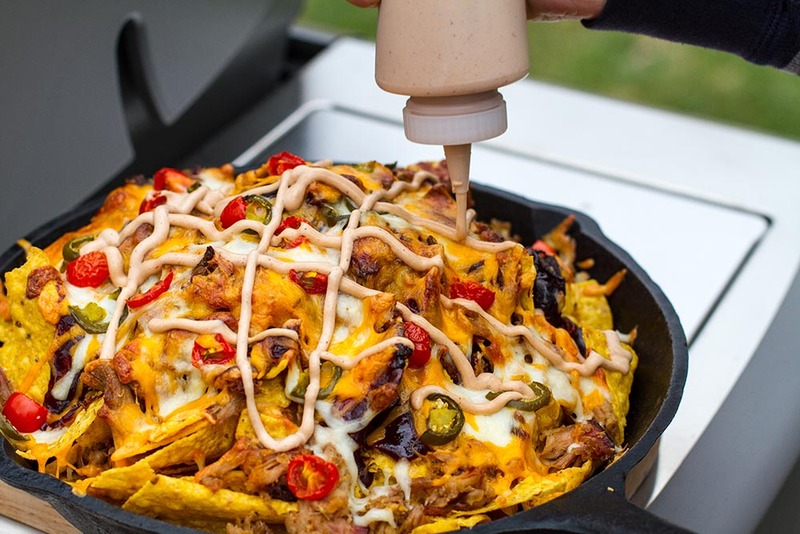 When the nacho craving hits me at home, the first thing I do is grab a cast iron skillet, fire up the grill, and of course, re-heat some pulled pork. 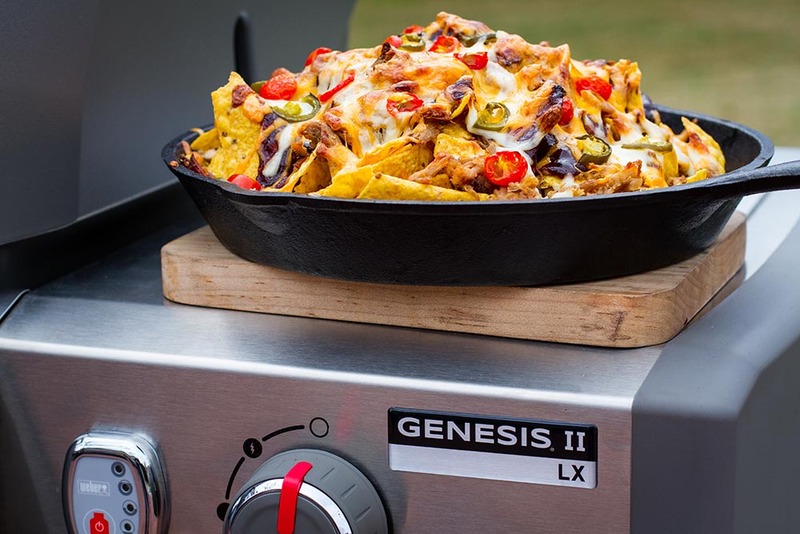 Grilled nachos can be topped with about anything. Along with pulled pork, I opt for freshly grated cheddar cheese, pickled jalapenos, and chopped cherry tomatoes. For an added kick, I blend a 1:1 mixture of BBQ sauce and sour cream to drizzle over the top. Nachos are only limited by your imagination. 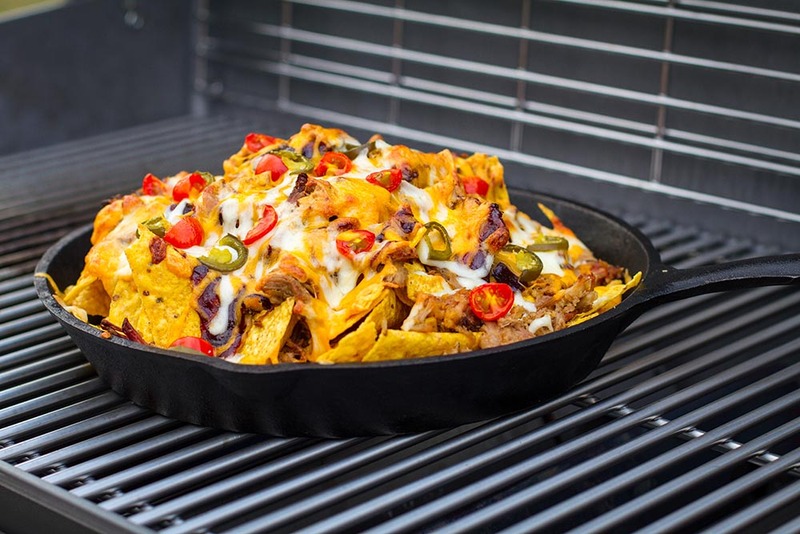 Once prepared, grill the nachos over indirect medium heat for approximately 10-15 minutes, or until the cheese has melted. Make sure the grill is the destination for your next nacho craving. You won’t be disappointed!